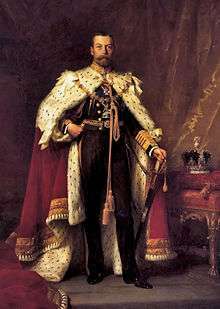 An emperor (through Old French empereor from Latin: 'imperator') is a monarch, usually the sovereign ruler of an empire or another type of imperial realm. Empress, the female equivalent, may indicate an emperor's wife (empress consort), mother (empress dowager), or a woman who rules in her own right (empress regnant). Emperors are generally recognized to be of a higher honour and rank than kings. In Europe the title of Emperor was, since the Middle Ages, considered equal or almost equal in dignity to that of Pope, due to the latter's position as visible head of the Church and spiritual leader of Western Europe. The Emperor of Japan is the only currently reigning monarch whose title is translated into English as "Emperor". Both kings and emperors are monarchs, but emperor and empress are considered the higher monarchical titles. Inasmuch as there is a strict definition of emperor, it is that an emperor has no relations implying the superiority of any other ruler, and typically rules over more than one nation. Thus a king might be obliged to pay tribute to another ruler, or be restrained in his actions in some unequal fashion, but an emperor should in theory be completely free of such restraints. However monarchs heading empires have not always used the title—the British sovereign did not assume the title until the incorporation of India into the British Empire, and used it to symbolise British control over all its territories, even those lying outside actual British India, the reason being that India was the jewel in the crown of the British Empire. 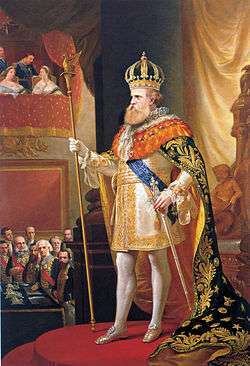 Similarly before the 19th century the term Emperor in Europe referred exclusively to the Holy Roman Emperor, despite the fact that the empire neither contained Rome nor did it exercise much power beyond the German speaking states, by the late 16th century the empire itself came to mean the dynastic lands held by the Habsburgs and following the Thirty Years' War the Habsburg emperors control over the German states outside Habsburg Austria became nearly non-existent, the position of Emperor however continued till the early 19th century, before it was abolished by Francis II who became the first Emperor of Austria. 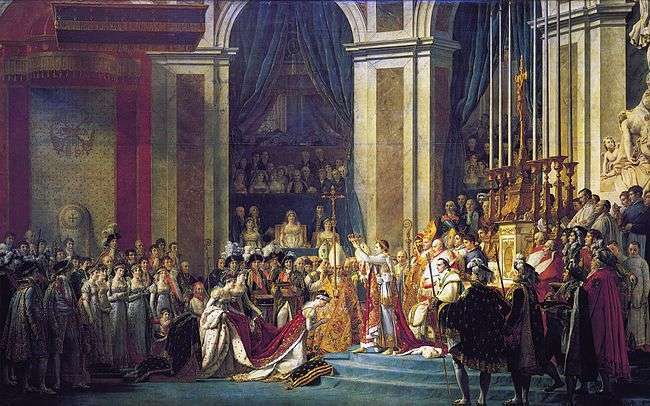 For purposes of protocol, emperors were once given precedence over kings in international diplomatic relations; currently, however, precedence amongst heads of state – whether they be Kings, Queens, Emperors, or Presidents – is determined by the duration of time that each one has been continuously in office. Outside the European context, emperor was the translation given to holders of titles who were accorded the same precedence as European emperors in diplomatic terms. In reciprocity, these rulers might accredit equal titles in their native languages to their European peers. Through centuries of international convention, this has become the dominant rule to identifying an emperor in the modern era. Some empires, such as the Holy Roman Empire and the Russian Empire, derived their office from the authority of the Roman Emperors (translatio imperii). The title was a conscious attempt by monarchs to link themselves to the institutions and traditions of the Romans as part of state ideology. 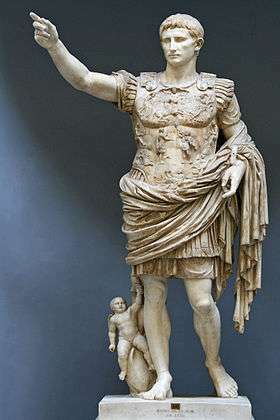 Historians have liberally used emperor and empire anachronistically and out of its Roman and European context to describe any large state from the past or the present. Such pre-Roman titles as "Great King" or "King of Kings", used by the Kings of Persia and others, are often considered as the equivalent. Sometimes this reference has even extended to non-monarchically ruled states and their spheres of influence such as the "Athenian Empire" of the late 5th century BC, the "Angevin Empire" of the Plantagenets, the Soviet, and American "empires" of the Cold War era. However such "empires" did not need to be headed by an "emperor". Empire became identified instead with vast territorial holdings rather than the title of its ruler by the mid-18th century. The title was first used as an honorific for a military leader in ancient Rome, meaning commander or general. Rules for indicating successors also varied: there was a tendency towards male inheritance of the supreme office, but as well election by noblemen, as ruling empresses (for empires not too strictly under salic law) are known. Ruling monarchs could additionally steer the succession by adoption, as often occurred in the two first centuries of Imperial Rome. Of course, intrigue, murder and military force could also mingle in for appointing successors; the Roman imperial tradition made no exception to other monarchical traditions in this respect. Probably the epoch best known for this part of the imperial tradition is Rome's third century rule. Autokrator (Αὐτοκράτωρ) or Basileus (βασιλεύς): although the Greeks used equivalents of "Caesar" (Καίσαρ, Kaisar) and "Augustus" (in two forms: transliterated as Αὔγουστος, Augoustos or translated as Σεβαστός, Sebastos) these were rather used as part of the name of the Emperor than as an indication of the office. Instead of developing a new name for the new type of monarchy, they used αὐτοκράτωρ (autokratōr, only partly overlapping with the modern understanding of "autocrat") or βασιλεύς (basileus, until then the usual name for "sovereign"). Autokratōr was essentially used as a translation of the Latin Imperator in Greek-speaking part of the Roman Empire, but also here there is only partial overlap between the meaning of the original Greek and Latin concepts. For the Greeks Autokratōr was not a military title, and was closer to the Latin dictator concept ("the one with unlimited power"), before it came to mean Emperor. Basileus appears not to have been used exclusively in the meaning of "emperor" (and specifically, the Roman/Byzantine emperor) before the 7th century, although it was a standard informal designation of the Emperor in the Greek-speaking East. 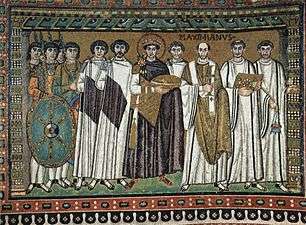 One important distinction between the post Constantine I (reigned AD 306–337) emperors and their pagan predecessors was cesaropapism, the assertion that the Emperor (or other head of state) is also the head of the Church. Although this principle was held by all emperors after Constantine, it met with increasing resistance and ultimately rejection by bishops in the west after the effective end of Imperial power in there. This concept became a key element of the meaning of "emperor" in the Byzantine and Orthodox east, but went out of favor with in the west with the rise of Roman Catholicism. In 1204 Constantinople fell to the Venetians and the Franks in the Fourth Crusade. Following the tragedy of the horrific sacking of the city, the conquerors declared a new "Empire of Romania", known to historians as the Latin Empire of Constantinople, installing Baldwin IX, Count of Flanders, as Emperor. However, Byzantine resistance to the new empire meant that it was in constant struggle to establish itself. Byzantine Emperor Michael VII Palaiologos succeeded in recapturing Constantinople in 1261. The Principality of Achaea, a vassal state the empire had created in Morea (Greece) intermittently continued to recognize the authority of the crusader emperors for another half century. Pretenders to the title continued among the European nobility until circa 1383. Agostino Veneziano's engraving of Ottoman emperor Suleiman the Magnificent. Note the four tiers on the helmet, which he had commissioned from Venice, symbolizing his imperial power, and excelling the three-tiered papal tiara. This tiara was made for 115,000 ducats and offered to Suleiman by the French ambassador Antonio Rincon in 1532. This was a most atypical piece of headgear for a Turkish sultan, which he probably never normally wore, but which he placed beside him when receiving visitors, especially ambassadors. It was crowned with an enormous feather. 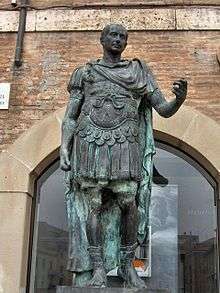 The Roman of the Emperor's title was a reflection of the translatio imperii (transfer of rule) principle that regarded the Holy Roman Emperors as the inheritors of the title of Emperor of the Western Roman Empire, despite the continued existence of the Roman Empire in the east. In 913, Simeon I of Bulgaria was crowned Emperor (Tsar) by the Patriarch of Constantinople and imperial regent Nicholas Mystikos outside of the Byzantine capital. In its final simplified form, the title read "Emperor and Autocrat of all Bulgarians and Romans" (Tsar i samodarzhets na vsichki balgari i gartsi in the modern vernacular). The Roman component in the Bulgarian imperial title indicated both rulership over Greek speakers and the derivation of the imperial tradition from the Romans, however this component was never recognised by the Byzantine court. 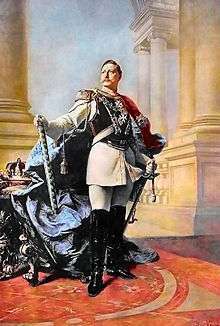 After Bulgaria obtained full independence from the Ottoman Empire in 1908, its monarch, who was previously styled Knyaz, [prince], took the traditional title of Tsar [king] and was recognized internationally as such. The origin of the title Imperator totius Hispaniae (Latin for Emperor of All Spain) is murky. It was associated with the Leonese monarchy perhaps as far back as Alfonso the Great (r. 866–910). The last two kings of its Pérez Dynasty were called emperors in a contemporary source. There was no set title for the king of England before 1066 and monarchs chose to style themselves as they pleased. Imperial titles were used inconsistently beginning with Athelstan in 930 and ended with the Norman conquest of England. Empress Matilda (1102–1167) is the only British monarch commonly referred to as "emperor" or "empress", but acquired her title through her marriage to Henry V, Holy Roman Emperor. During the rule of Henry VIII an Act of Parliament declared that 'this realm of England is an Empire...governed by one Supreme Head and King having the dignity and royal estate of the imperial Crown of the same'. This was in the context of the divorce of Catherine of Aragon and the English Reformation, to emphasize that England had never accepted the quasi-imperial claims of the papacy. Hence England and, by extension its modern successor state, the United Kingdom of Great Britain and Northern Ireland, is according to English law an Empire ruled by a King endowed with the imperial dignity. However, this has not led to the creation of the title of Emperor in England or in the United Kingdom itself. In 1801, George III rejected the title of Emperor when offered. The only period when British monarchs held the title of Emperor in a dynastic succession started when the title Empress of India was created for Queen Victoria. The government led by Prime Minister Benjamin Disraeli, conferred the additional title upon her by an Act of Parliament, reputedly to assuage the monarch's irritation at being, as a mere Queen, notionally inferior to her own daughter (Princess Victoria, who was the wife of the reigning German Emperor); the Indian Imperial designation was also formally justified as the expression of Britain succeeding the former Mughal Emperor as suzerain over hundreds of princely states. The title was relinquished by George VI when India became independent on 15 August 1947. After his death he was succeeded by his son Frederick III who was only emperor for 99 days. In the same year his son Wilhelm II became the third emperor within a year. He was the last German emperor. After the empire's defeat in World War I the empire ceased to exist. In 1472, the niece of the last Byzantine emperor, Sophia Palaiologina, married Ivan III, grand prince of Moscow, who began championing the idea of Russia being the successor to the Byzantine Empire. This idea was represented more emphatically in the composition the monk Filofej addressed to their son Vasili III. After ending Muscovy's dependence on its Mongol overlords in 1480, Ivan III began the usage of the titles Tsar and Autocrat (samoderzhets ). His insistence on recognition as such by the emperor of the Holy Roman Empire since 1489 resulted in the granting of this recognition in 1514 by Emperor Maximilian I to Vasili III. His son Ivan IV emphatically crowned himself Tsar of Russia on 16 January 1547. The word "Tsar" derives from Latin Caesar, but this title was used in Russia as equivalent to "King"; the error occurred when medieval Russian clerics referred to the biblical Jewish kings with the same title that was used to designate Roman and Byzantine rulers — "Caesar". The only pre-Columbian North American rulers to be commonly called emperors were the Hueyi Tlatoani of the Aztec Empire (1375–1521). It was an elected monarchy chosen by the elite. Spanish conquistador Hernán Cortés slew Emperor Cuauhtémoc and installed puppet rulers who became vassals for Spain. Mexican Emperor Maximilian built his palace, Chapultepec Castle, over the ruins of an Aztec one. After the fall of Napoleon I and the Liberal revolution in Portugal, the Portuguese Royals returned to Europe (1820). 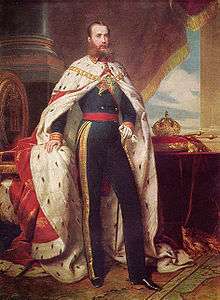 Prince Pedro of Braganza (King João's older son) stayed in South America acting as regent of the local kingdom, but, two years later in 1822, he proclaimed himself Pedro I, first Emperor of Brazil. He did, however, recognize his father, João VI, as Titular Emperor of Brazil —a purely honorific title—until João VI's death in 1826. In Persia, from the time of Darius the Great, Persian rulers used the title "King of Kings" (Shahanshah in Persian) since they had dominion over peoples from the borders of India to the borders of Greece and Egypt. Alexander probably crowned himself shahanshah after conquering Persia, bringing the phrase basileus toon basileoon to Greek. It is also known that Tigranes the Great, king of Armenia, was named as the king of kings when he made his empire after defeating the Parthians. Georgian title "mephet'mephe" has the same meaning. The Sanskrit word for emperor is Samrāṭ (word stem: samrāj) or Chakravarti. This word has been used as an epithet of various Vedic deities, like Varuna, and has been attested in the Rig-Veda, possibly the oldest compiled book among the Indo-Europeans. Chakravarti refers to the king of kings. A Chakravarti is not only a sovereign ruler but also has feudatories. Typically, in the later Vedic age, a Hindu high king (Maharajah) was only called Samrāṭ after performing the Vedic Rajasuya sacrifice, enabling him by religious tradition to claim superiority over the other kings and princes. Another word for emperor is sārvabhaumā. The title of Samrāṭ has been used by many rulers of the Indian subcontinent as claimed by the Hindu mythologies. In proper history, most historians call Chandragupta Maurya the first samrāṭ (emperor) of the Indian subcontinent, because of the huge empire he ruled. The most famous emperor was his grandson Ashoka the Great. Other dynasties that are considered imperial by historians are the Kushanas, Guptas, Vijayanagara, Kakatiya, Hoysala and the Cholas. After India was invaded by the Mongol Khans and Turkic Muslims, the rulers of their major states on the subcontinent were titled Sultān, In this manner, the only empress-regnant ever to have actually sat on the throne of Delhi was Razia Sultan. The Mughal Emperors were the only Indian rulers for whom the term was consistently used by Western contemporaries. For the period from 1877 to 1947 when British Emperors ruled British India as the pearl in the crown of the British Empire, see above. In Ethiopia, the Solomonic dynasty used, beginning in 1270, the title of "nəgusä nägäst" which is literally "King of Kings". The use of the king of kings style began a millennium earlier in this region, however, with the title being used by the Kings of Aksum, beginning with Sembrouthes in the 3rd century. Another title used by this dynasty was "Itegue Zetopia". The East Asian tradition is different from the Roman tradition, having arisen separately. What links them together is the use of the Chinese logographs 皇 (huáng) and 帝 (dì) which together or individually are imperial. Because of the cultural influence of China, China's neighbors adopted these titles or had their native titles conform in hanzi. Anyone who spoke to the emperor was to address him as bìxià (陛下, lit. the "Bottom of the Steps"), corresponding to "Imperial Majesty"; shèngshàng (聖上, lit. Holy Highness); or wànsuì (萬歲, lit. "You, of Ten Thousand Years"). In ancient Japan, the earliest titles for the sovereign were either ヤマト大王/大君 (yamato ōkimi, Grand King of Yamato), 倭王/倭国王 (waō/wakokuō, King of Wa, used externally), or 治天下大王 (amenoshita shiroshimesu ōkimi, Grand King who rules all under heaven, used internally). As early as the 7th century the word 天皇 (which can be read either as sumera no mikoto, divine order, or as tennō, Heavenly Emperor, the latter being derived from a Tang Chinese term referring to the Pole star around which all other stars revolve) began to be used. The earliest use of this term is found on a wooden slat, or mokkan, unearthed in Asuka-mura, Nara Prefecture in 1998. The slat dated back to the reign of Emperor Temmu and Empress Jitō. The reading 'Tennō' has become the standard title for the Japanese sovereign up to the present age. 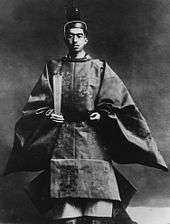 The term 帝 (mikado, Emperor) is also found in literary sources. Japanese monarchs were given their official title by the Chinese emperor. The new Japanese monarch after coming into power would send a representative to China and receive the anointment. They would receive their official title on several golden plates of several meters tall. Since the Japanese monarchs changed their title to 天皇 (Heavenly Emperor) in 607, the Chinese emperor refused to anoint the Japanese king, thus, ending relations with Japan for the next few hundred years. 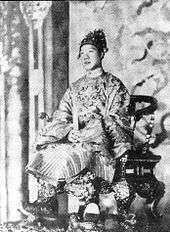 Although the Japanese emperors used Chinese imperial titles,, rarely was the Chinese-style "Son of Heaven" used. In the Japanese language, the word tennō is restricted to Japan's own monarch; kōtei (皇帝) is used for foreign emperors. Historically, retired emperors often kept power over a child-emperor as de facto regent. For a fairly long time, a shōgun (formally the imperial generalissimo, but made hereditary) or an imperial regent wielded actual political power. In fact, through much of Japanese history, the emperor has been little more than a figurehead. Currently, many believe the new prince of Japan will ascend the throne, as the law defines. Historically, Japan has had eight reigning empresses who used the genderless title Tennō, rather than the female consort title kōgō (皇后) or chūgū (中宮). There is ongoing discussion of the Japanese Imperial succession controversy. Although current Japanese law prohibits female succession, all Japanese emperors claim to trace their lineage to Amaterasu, the Sun Goddess of the Shintō religion. Thus, the Emperor is thought to be the highest authority of the Shinto religion, and one of his duties is to perform Shinto rituals for the people of Japan. The rulers of Goguryeo (37 BC-668 AD) used the title of Taewang (Hangul: 태왕, Hanja:太王), literally translated as the Greatest of the Kings. Also some Silla (57 BC-935 AD) rulers including Beopheung and Jinheung used this title for their declaration of independence from the influence of Goguryeo. The rulers of Balhae (698–926) internally called themselves Seongwang (Hangul: 성왕, Hanja: 聖王). In the 10th century, Gwangjong of Goryeo took the title of emperor himself as a means of enhancing the prestige of the monarchy, and it was first used in Korea. Many Goryeo sovereign alternately used both supreme king and emperor. After the Mongolian invasions (1231–1258), however, Korea relinquished the imperial title. The rulers of the Joseon Dynasty (1392–1897) still used the term "King of the Joseon" (Hangul: 조선국왕, Hanja: 朝鮮國王). In the First Sino-Japanese War of 1894–'95, Japan defeated the Qing Dynasty China, and the Treaty of Shimonoseki was concluded in which Japan had China recognize the independence and autonomy of Korea. However, King Gojong used term of "His Majesty the Great Monarch" (Hangul: 대군주폐하, Hanja: 大君主陛下), not an official imperial title. In 1897, King Gojong proclaimed the founding of the Korean Empire (1897–1910), and became emperor of Korea. Emperor Gojong declared the new era name "Gwangmu" (Hangul: 광무, Hanja: 光武, Warrior of light). The Korean Empire maintained their state until 1910 — though it was an Empire by name, it was in fact in the process of being absorbed by Japan. ↑ Harper, Douglas. "emperor". Online Etymology Dictionary. Retrieved 2010-08-30. ↑ Agostino never saw the Sultan, but probably did see and sketch the helmet in Venice. ↑ Napoleon, Vincent Cronin, p419, HarperCollins, 1994. ↑ Appelbaum, Nancy P.; Macpherson, Anne S.; Rosemblatt, Karin Alejandra (2003). Race and nation in modern Latin America. UNC Press Books. p. 88. ISBN 978-0-8078-5441-9. ↑ Notice that, before the emergence of the modern country of Spain (beginning with the union of Castile and Aragon in 1492), the Latin word Hispania, in any of the Iberian Romance languages, either in singular or plural forms (in English: Spain or Spains), was used to refer to the whole of the Iberian Peninsula, and not exclusively, as in modern usage, to the country of Spain, thus excluding Portugal. ↑ Vadala, Alexander Attilio (2011-01-01). "Elite Distinction and Regime Change: The Ethiopian Case". Comparative Sociology. 10 (4): 636–653. doi:10.1163/156913311X590664. ISSN 1569-1330. ↑ Lentz, Harris M (1994-01-01). Heads of states and governments: a worldwide encyclopedia of over 2,300 leaders, 1945 through 1992. Jefferson, N.C.: McFarland. ISBN 0899509266. ↑ "Once upon a time, China anointed a 'King of Japan' - The Japan Times". The Japan Times. ↑ Although the Emperor of Japan is classified as constitutional monarch among political scientists, the current constitution of Japan defines him only as 'a symbol of the nation' and no subsequent legislation states his status as the (head of state) or equates the Crown synonymously with any government establishment.